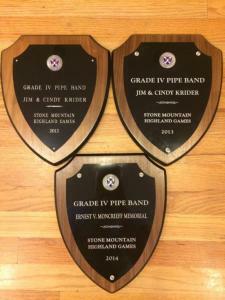 Three first place award plaques from Stone Mountain Highland Games. Our competition season for 2014 is over, and what a year it was! For the first time in the band’s history, we won every competition, and received 4 Above Grade Level comments. This included winning the Stone Mountain Highland Games for an historic third straight time. No other band, regardless of grade level, has ever won Stone Mountain three times in a row. Video of these performances has been uploaded to Youtube and pictures have been posted to our Facebook page. 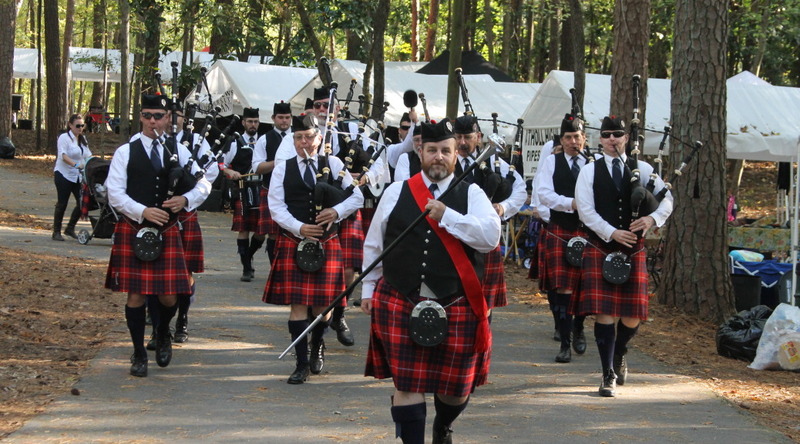 City of Chattanooga Pipe Band finished 2014 in fifth place out of 54 bands in the Eastern United States Pipe Band Association (EUSPBA), and is the premier pipe band in Tennessee. Our reputation for excellence has drawn players from around the Southeast, who drive two hours or more each way on practice nights. These players come from such cities as Huntsville, Atlanta, and Birmingham. Their dedication and contribution has played a major part in the success of the band. New Menu Links and More!